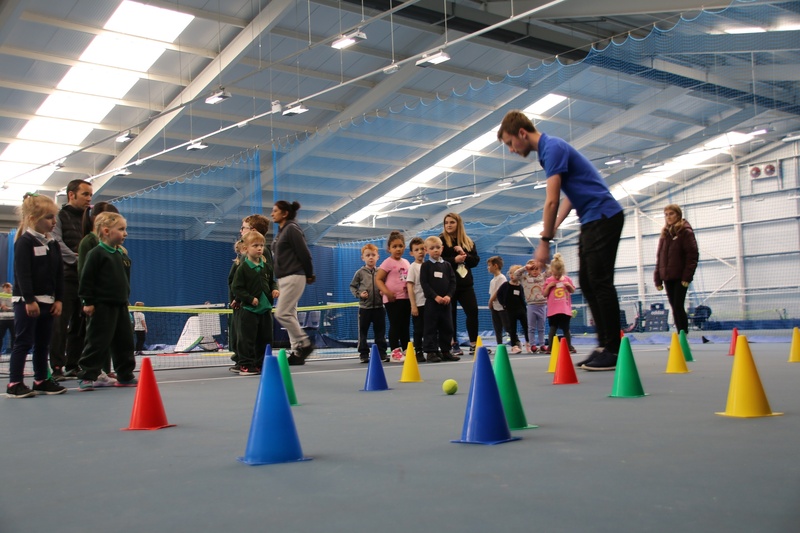 Pupils participated in approximately eight different activities which allowed them to practice basic skills that can be put into further practice in sports and other physical activity opportunities. Skills included, throwing and catching, rolling, jumping, hopping and agility. Movements used can also provide a foundation for sports specific skills that will be learnt in the future. In addition, each of the activities was story-based to make it more exciting and engaging for the pupils. Pupils were split into small groups, and also had the opportunity to develop social skills as they were paired with pupils from other schools. Groups spent approximately eight minutes on one activity before following a rotation onto the next. At the end of the event, some pupils were awarded with a Sportsmanship Award. These pupils were nominated by the school staff for displaying qualities such as good teamwork, respect and a positive attitude. “It was a really fun event which was great for sportsmanship, skills and physical development. Our pupils thought it was excellent”. Thank you to the sport students from Easton and Otley College who lead each of the activities across the event. If your child is interested in participating in a sport, take a look at our Clubs Page for more information on clubs in the local community. To view the photos from the festivals held on Wednesday 3rd April, please click here. To view the photos from the festivals held on Thursday 4th April, please click here.